Eurologs is able to execute small to very large projects. Whether dealing with new buildings, renovation or maintenance: we offer transparent agreements and really want to meet your deadline! Of course, we are as proud as you are, when we admire the result together. But we want to continue to feel proud, and that is why we offer you a maintenance option. Basically, cedar does not require maintenance. In due time, the timber will automatically get a beautiful, grey shade. However, some people prefer the timber to keep its own colour, while others want to give it a completely different colour. 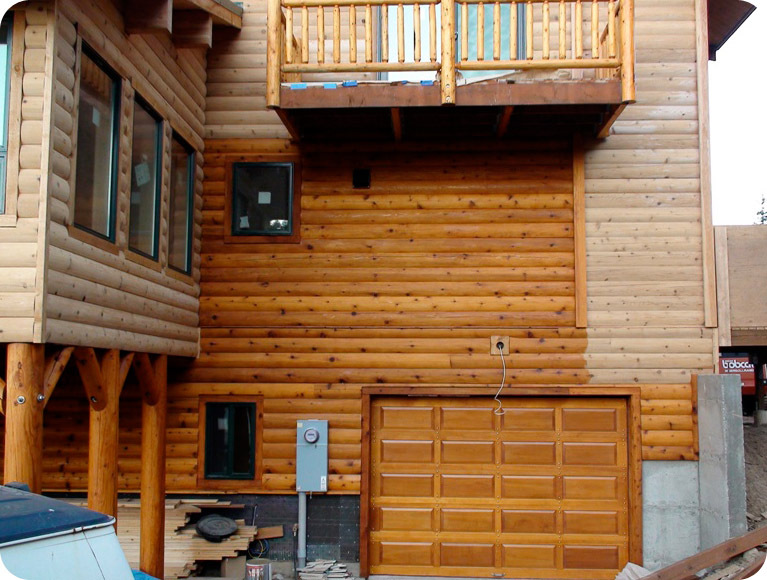 Cedar can be easily painted, and the result will last twice as long, compared to any other timber. Speaking of durability. For this purpose, we recommend paints from Sikkens, which can be supplied in many types of colour. Anyone will find what he is looking for. But also after completion of your house, we like to remain of service to you. In that case, you can use our maintenance contract, by which we will take care of all maintenance (for instance cleaning, painting, staining or varnishing). Whether this is for one single home or a complete holiday park, Eurologs will do it fast, skilfully and for a very affordable price. Would you like to know more about this possibility? Please contact us or your official dealer, without any obligations.